Best WordPress Plugins For Blogs 2018-2019! Must Have WordPress Plugins! Here is the list of some of the Best WordPress Plugins. There are almost billions of plugin available present WordPressrdpress but some of the plugins are really very good and important for your website. These plugin can make your website very astonishing and to make full utilization of website you must use these plugin. For me, I think backup is the most important part of my website. 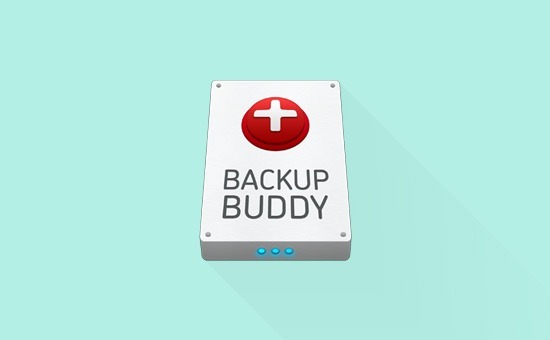 There are many free and paid backup WordPress plugins out there in the market. I have written an article on to it. You can follow by clicking on the link. It has many features that I have already discussed in details, you can check that article. But, in brief, it can solve your backup problems. It’s a premium plugin. You can say that if backupbuddy is 100 then updraftplus is 90. These are the plugins that are used to do SEO of your website and without one of these plugins, your website is like Human being without blood. These plugins optimize your website by providing the Meta title and Meta description for your all posts. Currently, I am using Yoast SEO premium plugin on this website and it’s working good. It has many features that need 5-6 plugins to take its place. I mean Sitemaps, Google Code Inserter, accessing the .htacess file from admin area and many more features. all the function like headings options h1, h2; h3; h4 and h5 are available in this plugin. Also, there is an HTML code inserter. The best feature in this plugin is that in visual editor you can add colour to the text and highlight your main keywords to readers and search engines. You can insert source code and table. I am currently using this plugin on my website and this is really one of the best WordPress plugins that I have used. 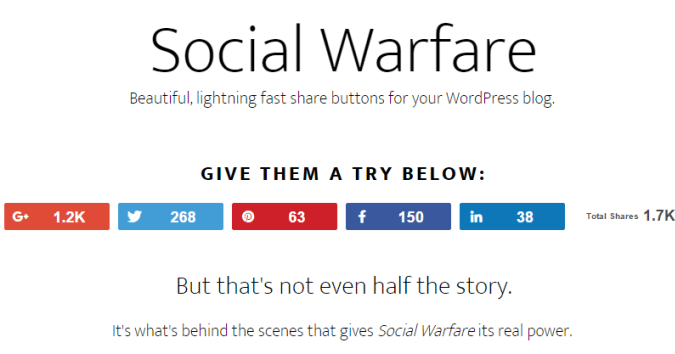 I am currently using social warfare pro version which is a paid version. The best thing about this plugin is that it comes with a free version and premium version so both of the new users and pro users can take its benefits. It has features that include integration with facebook, twitter and google+. It makes sharing easier for your readers. The count of every platform is the reason why I have applied this on to my website. An auto cache plugin is its main feature in the premium version. This plugin is used for commenting and this plugin has a very beautiful feature that it links with other blogs. In the free version, you are not able to find spam in the comments. But in the premium version, you can also find spam and delete those plugin. This plugin is best for those who want to make links with the other bloggers and help in the making of free and quality backlinks that are very important for the SEO of any blog. It has also a very important feature that it will show a mouse click of every URL that was clicked by your visitors. that I previously told it is just amazing and fantastic. If you want to use Adsense then it is the best plugin for you as you can place your ad units where there are maximum numbers of clicks. So, definitely, it is good in making you a lot of money. It will increase your income and also this is free. It’s like the pot filled with gold coins. this includes how to publicize your blog. It has 33 features that mean that this single plugin can do the work of 33 plugins. Wow, this seems to be very interesting but now what I want to tell you is more fascinating. By this plugin, you can post your posts link directly to your Facebook page, Google+ profile, Google Page and to twitter also. Many people are not aware of this plugin but I will assure you that if you use this plugin then your website speed also increase as it can do work of 33 plugins. So, I recommend installing this plugin as soon as possible. After installing you have to direct it your WordPress id and then you can use it easily. Some users ask me to calculate their keyword density; this plugin is the best solution for keyword density calculation. It will automatically calculate the keyword density. So, it helps in doing the SEO of your website. As by the Google recommendations your keyword density should be 1-2 That’s why I recommend this plugin to be installed. In today’s era, you cannot think of your life without social networking websites. In blogging also for traffic purpose, you must have a big following on these social media sites. Now the question arises that how to increase your following on these social media websites and the solution is this floating social bar. This helps you to increase your fan following on social media sites like Facebook, Google+ and Twitter. You don’t have to do a lot to this plugin. You just have to add your username of Google+, Facebook and Twitter and when any visitor wants to share your post they can share with their friends. These are best plugin list and their description that I am using from 2 years and these are the finest plugin list. If you install only these 9 plugins today than also your site will work very well in the future. Also, a good website has a very high page loading speed. So to make the high-speed time you must a very high-speed theme. This is all from my side and now it’s your turn to install these plugins. If you have any further queries then you can comment in the comments and I will tell the best solution that I know.